Looking For a "Roofing Contractor Near Me"? 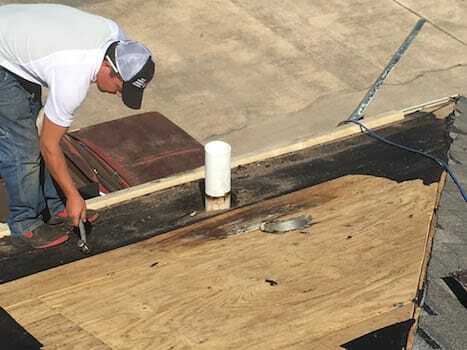 ​While we may not service as many customers as the best roofers Corpus Christi has to offer, we have repaired or installed a large percentage of the roofs in Birmingham and the surrounding areas. We consider each of our clients part of our family and each of their roofs our own roofs. A lot of times, people do not realize that they have a roof problem because they don't see any water leaking into their homes. Many roofing problems go unnoticed until it's too late and the issues are beyond repair. We will be happy to perform a thorough roof inspection to help determine what shape your roof is in and if there are any problems that should be addressed. If your roof is over 20 years old, chances are it is time for a new roof. We use quality materials and we do the job correctly every time so you never have to worry about a void in your roofing materials' warranties. Our business was started by Bill White in 1969 out of his home in Bluff Park, and eventually moved to an office location on the outskirts of Hoover. We love the city of Birmingham and all of its suburbs, and we love helping the members of our community, one roof at a time. Whether you have a roof leak that needs quick repair, you've noticed missing shingles and think it may be time for a roof replacement, or you have a structural problem with your roof, we will work to get your roof back in tip-top shape as quickly as possible. We've been in business for a long time and have seen it all when it comes to roofing problems. Our crew is very friendly and respectful, we use quality products, we clean up thoroughly after our projects, we don't take shortcuts, and we don't charge an arm and a leg for our services. If you're looking for a reliable and honesty roofing company in Birmingham to help you with one of the most important aspects of your home or business, Bill White Roofing and Specialty is just a phone call away! Let us know when we can come inspect your roof and help you determine what your roof needs to stay sturdy and secure for years to come.